Avalon Perennial Ryegrass was bred by Agriculture Victoria in partnership with Vicseeds to overcome poor persistence of many imported varieties. Avalon was bred from selections of local Australian ryegrass ecotypes to be later flowering, more productive, disease resistant, and most importantly be extremely persistent. Avalon Perennial Ryegrass being densely tillered with semi-erect growth is ideally suited to dairy production areas. Avalon Perennial Ryegrass will also perform very well in sheep/beef zones due to its high level of production and persistence. Avalon Perennial Ryegrass is very productive through winter and into late spring, and is much quicker to respond to opening Autumn rains than many other varieties. 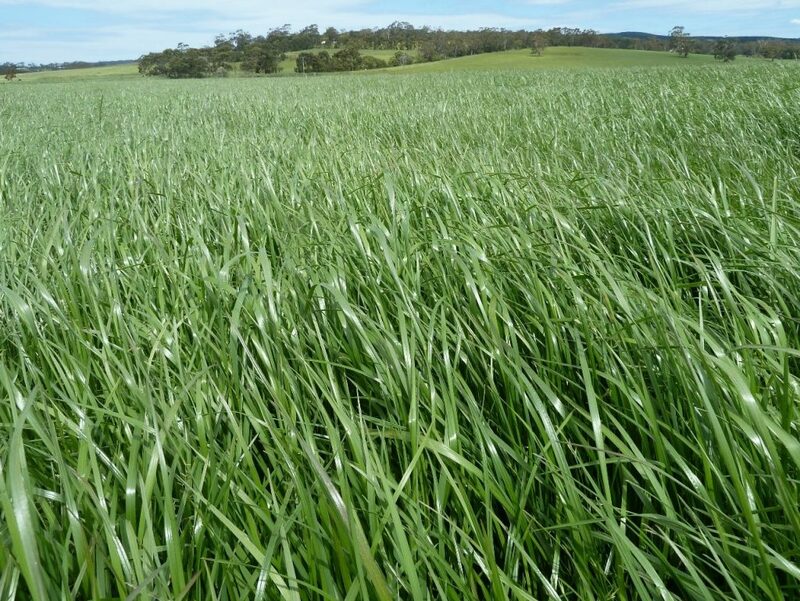 Avalon Perennial Ryegrass is a fine leafed forage perennial ryegrass with a dense growth habit. Avalon Perennial Ryegrass is a versatile and very persistent ryegrass which performs well with all stock types particularly dryland dairy and with both set stocked and rotational grazing enterprises. Avalon Perennial Ryegrass has very good Winter and Spring production and maintains good feed quality through late Spring into Summer. Avalon Perennial Ryegrass is an Australian bred ryegrass which has been bred to persist and also give excellent production. 600 to 700mm: 12 to 15 kgs/ha. 700mm+: 15 to 20 kgs/ha. Sow with: Bolton Perennial Ryegrass, Dargo Annual Ryegrass, White Clover, Red Clover, Subterranean Clover & Chicory.